Tom Heasley is an internationally active composer, performer, improviser and recording artist whose compositions for electro-acoustic tuba create " a rich and sonorous aural experience tha tflies in the face of all the dumb cliches about what tuba music is." When Tom Heasley performs his own music for tuba, didjeridu, throat singing, live electronic processing and loop sampler, you will be transported to a landscape of the imagination where Heasley's sonic explorations will immerse you in delicious deep drones and spiraling swells of prass shifting like seismic plates. Following the May 2001 release of his first CD of ambient tuba music - Where the Earth Meets the Sky (Hypnos) - Mr. Heasley toured throughout North America, performing almost 30 solo concerts. 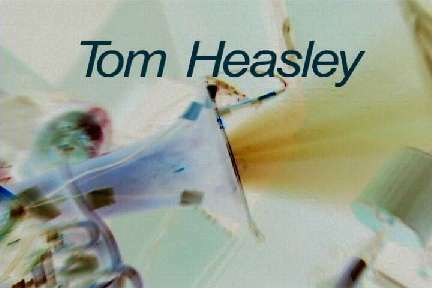 With the May 2002 release of his second CD - On the Sensations of Tone (Innova) - Heasley continues to redefine the reach of one of the world's most underappreciated instruments. As a result, he finds himself increasingly in demand. His music has been featured on National Public Radio, BBC Radio 3, Public Radio International, John Schaefer's New Sounds on WNYC, NPR favorite Hearts of Space, John Diliberto's PRI-syndicated Echoes and many other radio programs, from Silicon Valley to Siberia. In 2002 Heasley was awarded an Artist Fellowship in Music Composition by Arts Council Silicon Valley. His work has also been supported by the National Endowment for the Arts, the American Composers Forum and the McKnight Foundation. Mr. Heasley returns to the east coast in Fall 2002, this time concentrating on New York City, where he will perform at Roulette, the Knitting Factory and CBGB's 313 Gallery. While there, Mr. Heasley will record for John Schaefer's New Sounds program on WNYC for future airing. Heasley will also take a quick dip into the Boston area, appearing at Zeitgesit Gallery in Cambridge, MA. Mr. Heasley has been invited to perform at the BBC in London in 2003. From there, he will embark on his first European tour.